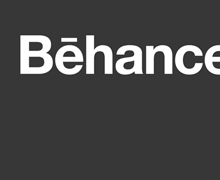 Behance is a network that empowers professionals to make ideas happen. They create products, provide organizational tools for creatives, and run Behance.net, a space for designers and illustrators to showcase their portfolios. They also produce The 99 Percent web site and conference, a name that draws its inspiration from Thomas Edison’s quote: “Genius is 1% inspiration, 99% perspiration.” The 99 Percent inspires creatives to execute their ideas. Working from the belief that ideas are easier to generate than execute, The 99 Percent shares stories and practical advice from productive people who know how to get things done. The site gives its readers a glimpse inside the minds of many of today’s most innovative thinkers and doers and is the perfect resource for designers with entrepreneurial ambitions. Users can browse advice and watch videos on risk-taking, failure, decision making, and how to overcome creative blocks. A recent tip on batching helps us get these posts out on time. The 99 percent conference is an annual gathering in NYC that encourages creatives to stop dreaming and start doing. This year’s conference is sold out, so add yourself to the wait list and watch an overview of last year’s conference here.